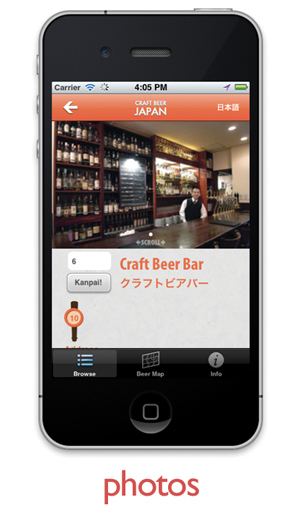 Find craft beer in Yokohama using your smart phone's GPS! The Craft Beer Japan app contains reviews and essential infomation of all bars,restaurants and retailers in Yokohama that sell craft beer. Using GPS to determine your location, it will then show you which places are closest to you. 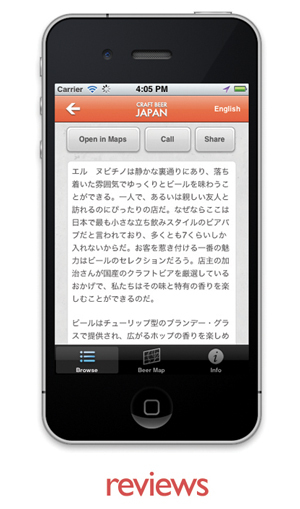 In addition to a complete guide to Yokohama, the Craft Beer Japan app has listings and reviews for all of Japan! Many of the places also offer discount coupons through the app. 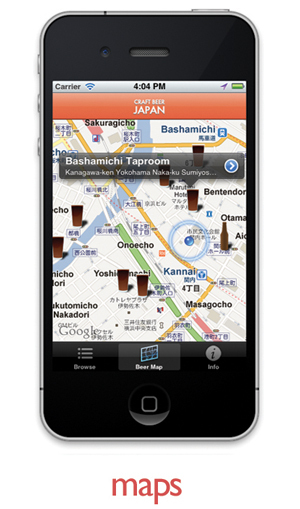 Wherever you go in Japan, use this app to find craft beer.